I don't know if many people noticed but a critically significant moment flashed by at the British Labour Psrty Conference in Liverpool today. The results were announced of the voting for the party's priorities for Britain. 3. JUSTICE FOR THE WINDRUSH GENERATION. 6. THE NATIONAL HEALTH SERVICE. 8. CLIMATE CHANGE AND FRACKING. Caring for Palestinians came before caring for Britain's elderly, sick, and welfare needs. It came before concern for local communities. It even came before Britain's place in the world (i.e. Brexit). In fact, apart from Brexit, Palestine was the only international issue that concerned the Labour Party. Not the horrendous Syrian conflict that has torn the Middle East and, indeed, most of Europe with its millions of refugees and loss of life. Not the famine, disease, poverty, terrorism, and slavery that is plaguing Africa. Not the Socialist-induced collapse of Venezuela. Palestine. Palestine, Not solving the Middle East's most protracted conflict. Not listening to Israel's legitimate complaints that the chasm of the Palestinian political divide prevents them from negotiating a settlement with Israel. Palestine. Meaning pushing the Palestinian cause even if it breaks Israel. 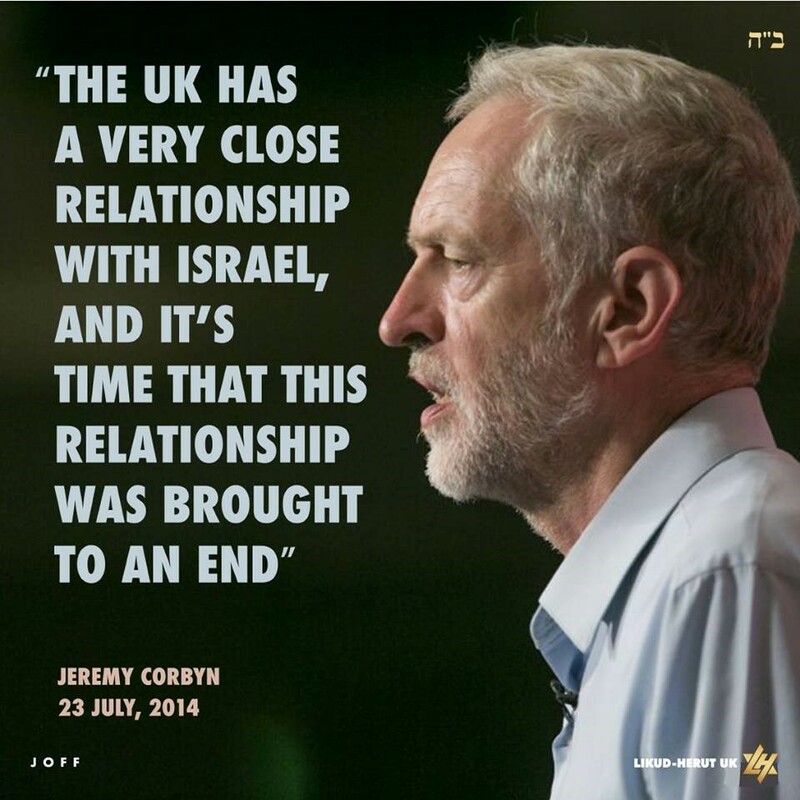 For Israel can have nothing to say, according to the Corbynites. To them anything that Israel has to say is illegitimate. What you are seeing in this poll is the modern face of the Labour Party. It is partially the result of the campus culture finding its way into positions of influence and opinion creating in Britain. 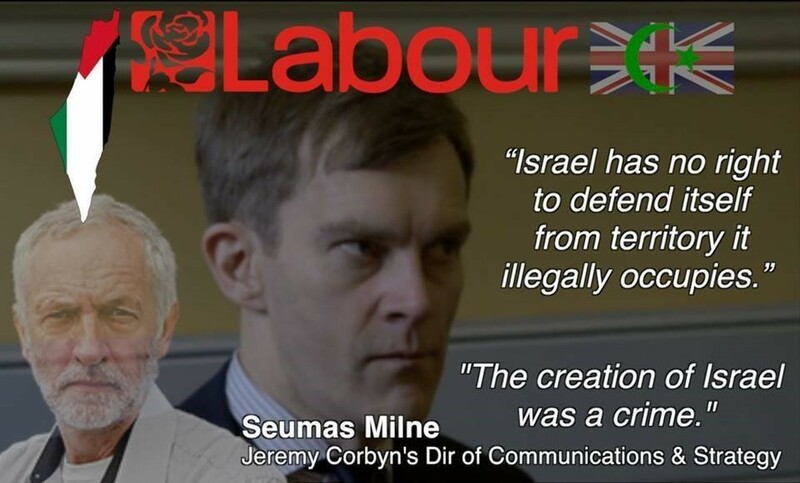 The obsession to put Palestinians over Britain's weak, sick, and elderly in the Labour Party highlights the incomprehensible, anti-British, dogma of a developing hard left Socialist party where hatred for Israel supersedes vitally important domestic issues in Britain. 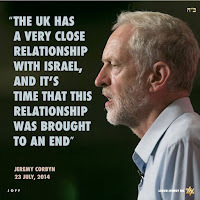 The high ranking of 'Palestine' carries with it the latent anti-Semitism that has infected the party since the leadership of Jeremy Corbyn. We are seeing a not so covert anti-Semitism on the rise. I guarantee that 'Palestine' will rise even further before the next Labour Party Conference in 2019. Barry Shaw is the author of 'Fighting Hamas, BDS, and Anti-Semitism.' Fighting violence, bigotry, and hatred. And why is Windrush and Palestine on there anyway they won't help this country this just shows what an incompetent prat he is! This post is 100% fake. How gullible do you have to be to believe it? How about Idlib, Mr. Corbyn? THE CURIOUS CASE OF CORBYN.